Result: Best in Show Neuter! Result: BEST IN SHOW KITTEN, BEST IN SHOW NEUTER, BEST IN SHOW ADULT. Amisti took all 3 places in Category 3! Amisti Unawatuna 2nd OVERALL BEST IN SHOW! Result: Amisti Unawatuna CACS Amisti Antonio Vivaldi CAGCIB, NOM, Best in Show! 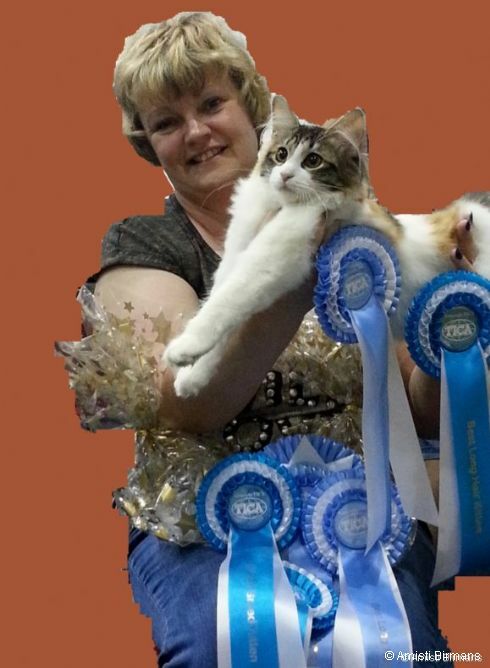 Amisti Alabama CAPIB, NOM Best in Show! Amisti Pumbaa CAPIB, NOM, Best in Show! Result: Unawatuna Best Male Adult and Overall Best Adult in Show Pumbaa Best Male Neuter and Overall Best Neuter and Overall Best in Category! Result: BEST IN SHOW SLH Neuter Saturday and Sunday!!! 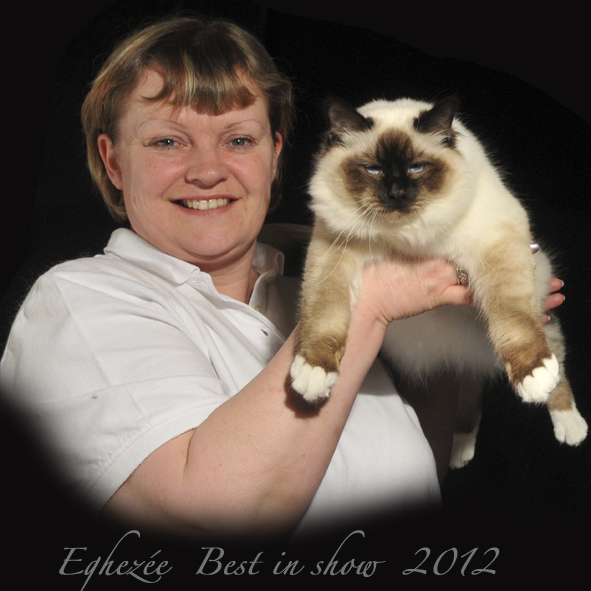 Result: Best kitten 7 to 10 months Overall Best Kitten Best in Catagory One Reserve Best in Show NATIONAL WINNER!!!!!! Result: Best in Show Adult Male in LOOF. 3rd Best of Best in TICA!! Result: Best in Show Kitten LOOF Overall Best in Show Kitten in TICA. Result: Best in Show Kitten 3 to 6 months, overall Best in Show Kitten, Overall Best in Show!! 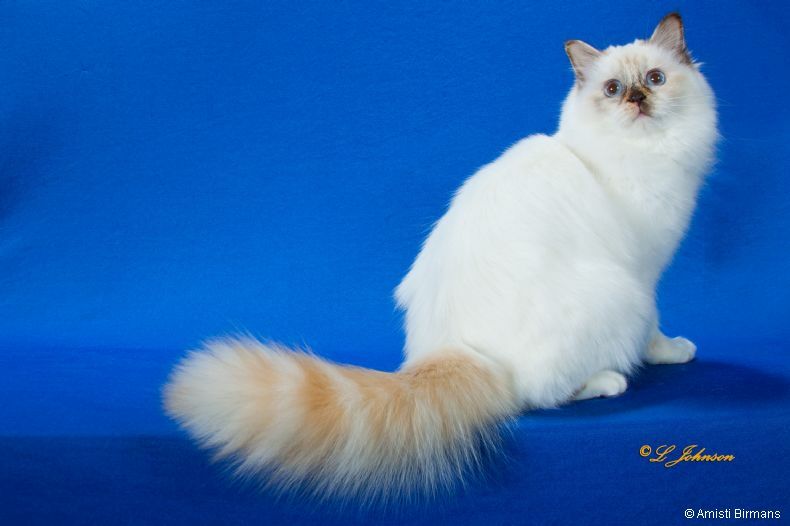 Result: Amisti Pumbaa Best Kitten, Amisti Unawatuna Best Male, Best Adult & overall BEST IN SHOW Saturday. Result: Alice Best in Show Female, Best in Show Birman LOOF. Unawatuna Best in Show TICA. 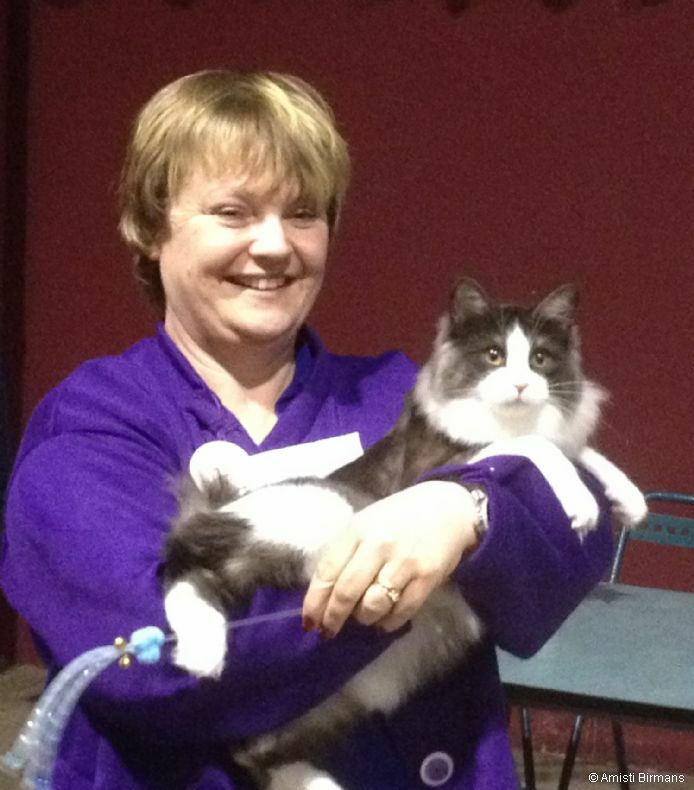 Vivaldi Best in Show Kitten in Fife A great weekend! Result: Best in Show Kitten! Result: Overall Best in Show adult in TICA and Overall Best in Show adult in Traditional LOOF YAY!! Result: LOOF: Best in Show Saturday & Best in Show on Sunday!!! TICA: Overall Best in Show! Result: Yeahbut gains his Supreme Grand Champion title at only his third show! 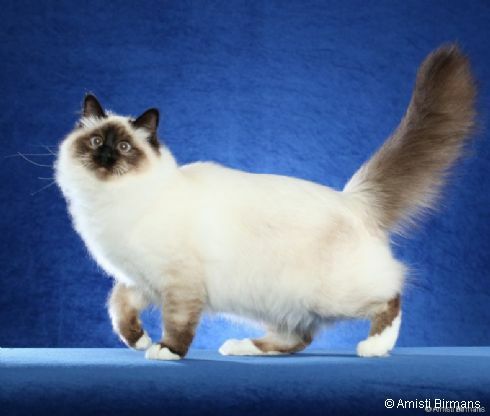 and Becomes third best Cat in Show! Result: BEST IN SHOW KITTEN!! 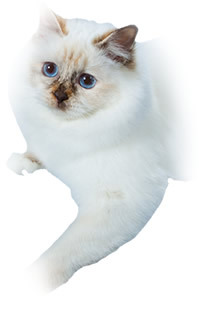 Result: Best of the Best Semi Longhair Kitten!! Result: Tissie wins in Rome to become Supreme Grand Champion!! Result: Best in Show Semi Longhair Female Saturday and Sunday!!!! Result: BEST in SHOW KITTEN AGAIN!! Result: 2nd Best of the Best in Show! Result: 2nd Best Kitten in Show!!! Result: Best TV Neuter, Best SLH Neuter and Overall BEST IN SHOW NEUTER. Result: Only her second outing and she makes CHAMPION and has a RED CARD DAY! Result: Both boys got their certificates Yildy was nominated and Willy was Best Stud and Yildy Best Neuter! Result: Betty Best in Show SLH Female Neuter, Amisti Alabama Best in Show SLH Male, Amisti Parlak Yildiz Best in Show SLH Male Neuter and OVERALL BEST IN SHOW! Result: Best in Show SLH Male Neuter for Yildy, Best in Show SLH Female Neuter for Betty and Best in Show for Bobbi!! Result: Willy BEST IN SHOW SLH MALE, Bobbi BEST IN SHOW SLH KITTEN, Yildy BEST IN SHOW SLH NEUTER, BEST IN SHOW OVERALL NEUTER, OVERALL BEST IN SHOW! Result: Best Male and overall BEST IN SHOW!!! Result: Yildy is Best in Show SLH Neuter and Best of the Best Alter. Grace is Best in Show SLH Female. Result: Betty was BEST IN SHOW SLH female on Saturday & Sunday!!! Result: Yildy got his 3rd PC & BOB, Willy got his first Grand at the first attempt and Grace was BOV Semi Longhair Adult!! Result: Three First Prizes in the Opens, two Best of Breeds and the Grand - can't say fairer than that! Result: Yildy has a RED CARD DAY! Result: BEST IN SHOW AND RESERVE BEST IN SHOW KITTEN!! Result: BEST IN SHOW KITTEN AGAIN! 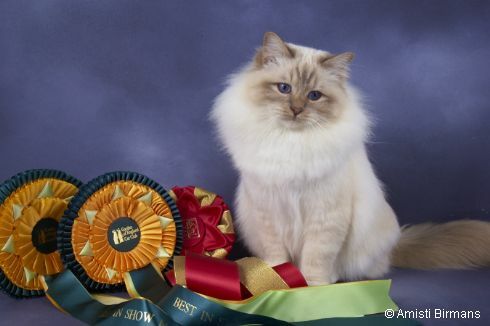 Result: Billie got a BEST CAT, 3 2nds and 2 3rds he is now SUPREME GRAND CHAMPION. Yildy got 4 BEST KITTENS and Willy got 1 BEST KITTEN. Both kittens also got several high placings! WHAT A FAB WEEKEND!!! 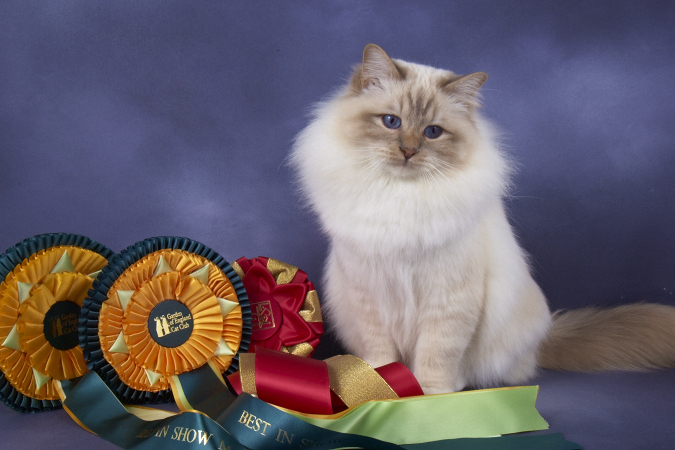 Result: BEST KITTEN IN SHOW! Result: First Best if Breed and BEST IN SHOW SEMI LONGHAIR ADULT Well Done Billie! Result: A RED CARD DAY!!! Four classes Four wins and Best of Breed. Well done Billie!